Only one example of these spectacular supercars will ever be made. Sometimes, owning a rare supercar just isn't enough. People who want to be truly unique commission what is known as a one-off. These are cars that are exclusively built to the specification of one person. 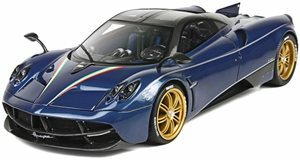 There are some one-off color schemes that make a supercar unique, but a true one-off supercars is something a lot more than that. Most people will never even get to see one of these amazing cars, but we've been lucky enough to ride in one and actually drive another, which fulfilled our childhood dreams. Pagani seems to be the king of one-off supercars. It is almost as if the company makes more cars that are one-of-one than so-called "normal models." Our favorite one-off Pagani is the Huayra Pearl. This car holds a special place in our hearts after we had the chance to ride in it. This car is unique because it features elements from the old Zonda S and R. It is also one of the only one-off cars that was almost destroyed in an accident. The car was brought back from the dead, and upgraded with even more power. The AMG-built twin-turbo V12 now produces 1,350 hp and can hit 60 mph in 2.2 seconds. We can confirm that this car is as quick as it sounds. We were extremely fortunate to experience the Huayra Pearl, but we were truly blessed to have the chance to drive this one-off Ferrari. Its called the SP 275 RW Competizione. The name pays homage to the 1965 275 GTB Berlinetta Speciale (of which only three were built). 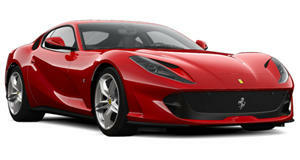 Like other Ferrari one-offs, the SP 275 is based on an existing Ferrari model. The owner started this project off right by choosing the F12 TDF as the base car. This means that the SP 275 is powered by a 6.3-liter V12 with 769 hp. 0-60 mph takes just 2.9 seconds at a whopping 8,500 rpm. We loved the car's blue leather interior with matching blue carbon fiber and were truly humbled after getting to drive it. The Rolls-Royce Sweptail is an extremely unique luxury car that was built for a very lucky owner. 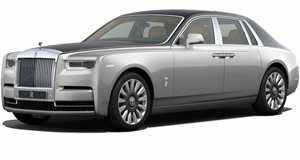 The car was commissioned in 2013 for an owner that asked Rolls-Royce to build a car to match their yacht collection and private plane. The result is a coach-built, two-seat coupe with an enormous panoramic glass roof. Not everyone was a fan of this car's styling, but its hard to ignore the massive attention to detail here. The interior is full of Macassar Ebony and titanium accents. The total price of this one-off is rumored to be around $13 million, making it the world's most expensive car. 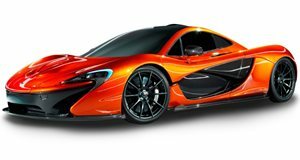 When a McLaren F1, a Mercedes-Benz SLR McLaren and a McLaren 12C aren't enough, you are going to need something that is truly special. The owner of this rare concept one-off already owned those three McLaren cars, but decided that they needed something even more unique. It's called the X1 and is based on a McLaren 12C. The X1 was actually developed before the 12C was first put on sale. It took 18 months to finalize the styling, but the owner wanted it to have inspiration from cars like the 1961 Facel Vega, a 1953 Chrysler D'Elegance Ghia, a 1959 Buick Electra, a 1939 Mercedes 540K and a 1971 Citroen SM. As a result, the car has classic lines and closed rear wheel arches that are very unique. 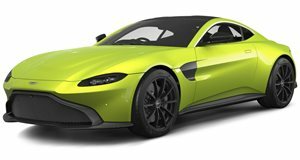 The final car on our list is the Aston Martin Vantage GT12 Roadster. The GT12 is the most track-focused Aston Martin on the market, but that didn't stop the owner of this car from wanting to drop the top. Most track-focused cars are not convertibles, which makes this GT12 a true oddity. The roadster still has the standard 600-hp V12 mated to a seven-speed paddle shift transmission. The GT12 roadster was built by Q, Aston Martin's customization division. Q has made some cool Aston Martins in the past, but this is the first time the division has built its own unique model.